“Habeas corpus” is a term that originated in English common law. It is meant to protect individuals from being illegally imprisoned. Someone held in custody can file a petition requiring the custodian to provide adequate legal justification for detention. If the custodian cannot do so, the court can order that the detainee be released. In the United States, the Suspension Clause of the U.S. Constitution specifically states that “The privilege of the writ of habeas corpus shall not be suspended, unless when in cases of rebellion or invasion the public safety may require it.” Petitioning for writ of habeas corpus is one of the fundamentals of living in a free society. Without this right, a person could be imprisoned at any time for any reason. Someone held in state custody must exhaust all state remedies including state appellate review before petitioning for habeas corpus relief in federal court. A petition for habeas corpus relief must be made in writing and signed by the petitioner or someone acting on his or her behalf. The petition names the custodian as the respondent and presents facts about the petitioner’s custody, including the legal basis for the request for relief. Know the facts to increase the chances for habeas corpus relief. Habeas corpus law is complicated, and different courts follow different rules. But there are general facts about habeas corpus relief that you should know. Here are 5 of them. If you’re convicted in state court and file a post-conviction appeal, the one-year deadline extends to accommodate the state’s post-conviction process. But it’s critical that you remember that you have a deadline, and that you must be aware of timeline requirements in your state. This is known as exhaustion of state remedies and direct appeal. This requirement gives state courts an opportunity to correct violations of federal law that may have occurred during your trial before you bring a habeas complaint to federal court. If you don’t exhaust state remedies first, federal courts will not address your claims. Filing more than one petition for habeas corpus relief is almost impossible. Therefore it’s critical that you meet all deadlines, follow court procedures exactly, and include all pertinent information in your first petition for habeas corpus relief. If you make mistakes or are not meticulous in filing your petition for habeas corpus relief, you may not be allowed to file for habeas corpus relief again. If you were convicted based on a plea, you may not be eligible for habeas corpus relief. That’s because some federal courts have found that a successful post-conviction challenge such as a plea for habeas corpus relief is a breach of the plea agreement. In some such cases, plea agreements have been dissolved, and defendants later convicted under charges that had previously been dropped under the plea agreement. Some courts may require that you have a significant relationship with the defendant, and courts want proof that the “next friend” is in a better position to file for habeas corpus relief than the actual defendant. 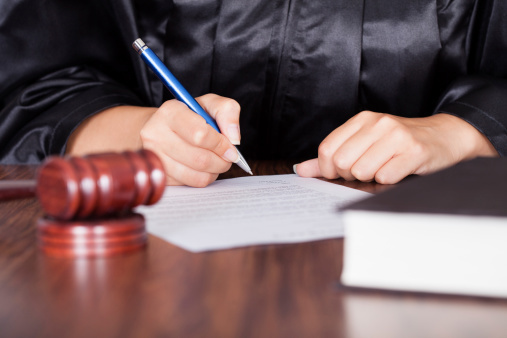 Courts typically allow parents to petition on behalf of underage children in governmental custody. Because the requirements involved in a successful plea for habeas corpus relief can be complex, you should work with a habeas corpus lawyer to ensure that the proper approach is taken and that all procedures are followed to the letter. Your freedom is too important to leave this important process to anyone but an expert. Contact Brownstone today for help with your Habeas Corpus case. Call (855) 776-2773 for a free consultation.